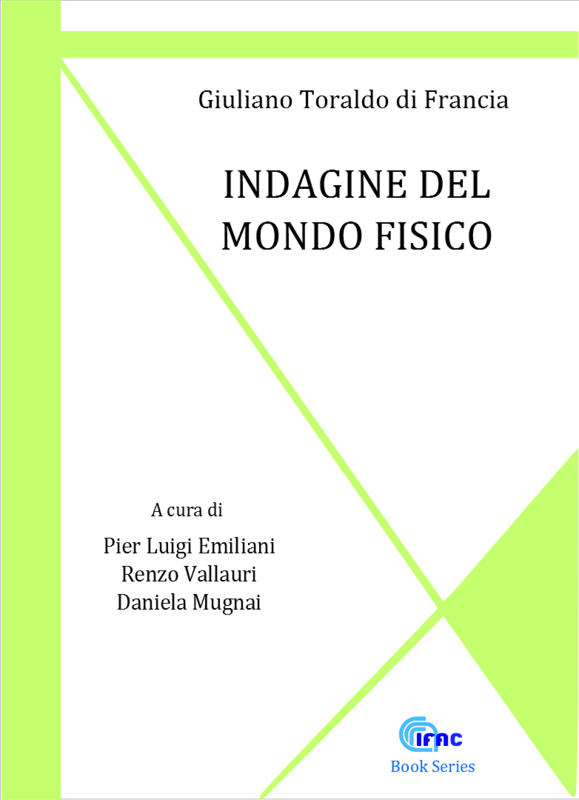 The main research activity deals with promising new solid-state laser systems developed in cooperation with INFM-NEST of Pisa for the growth of the active medium. 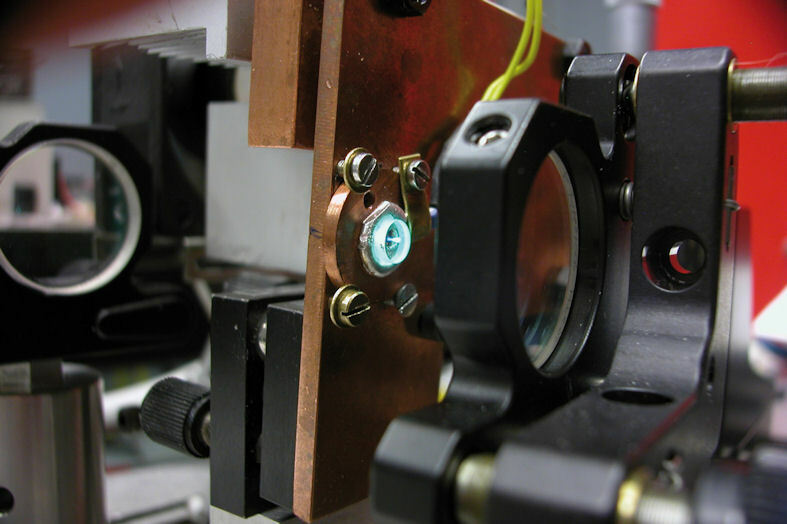 In a recent MIUR project, we developed Ce3+ lasers that emit tunable radiation in the near ultraviolet (290-315 nm). Cutting natural stone sheets by CO2 laser at 2,5 kW. for generation of non-linear effects. The result of this research has found an application in molecular biology. At present, our interest is centred on Yb3+ activated laser crystals. 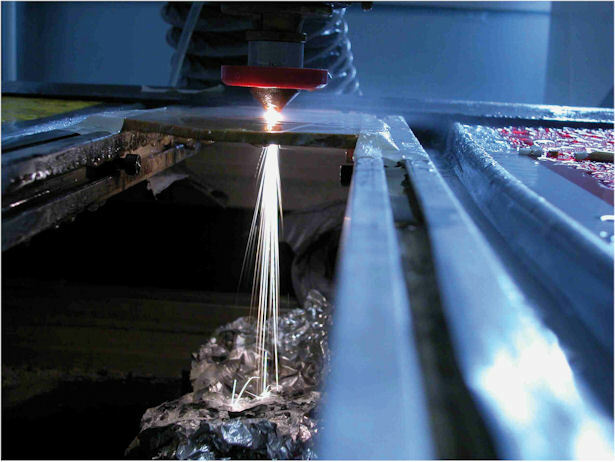 As compared to Neodimium ones, Ytterbium lasers offer several advantages in terms of a better exploitation of the diode–pump output, as well as a much larger emission bandwidth that makes it possible to generate ultra-short pulses. We have achieved a record in slope efficiency with the Yb:YLF as the active medium, by operating at room temperature instead of cryogenic cooling. Noteworthy results in term of efficiency (66%) and output power (> 7W) have been obtained with a ceramic Yb:YAG. One important aspect is the realization of instruments for effecting atmospheric measurements and for outer space spectroscopy. One proposed experiment utilises the sun Fraunhofer lines to monitor the chlorophyll fluorescence of vegetation crops and forests. 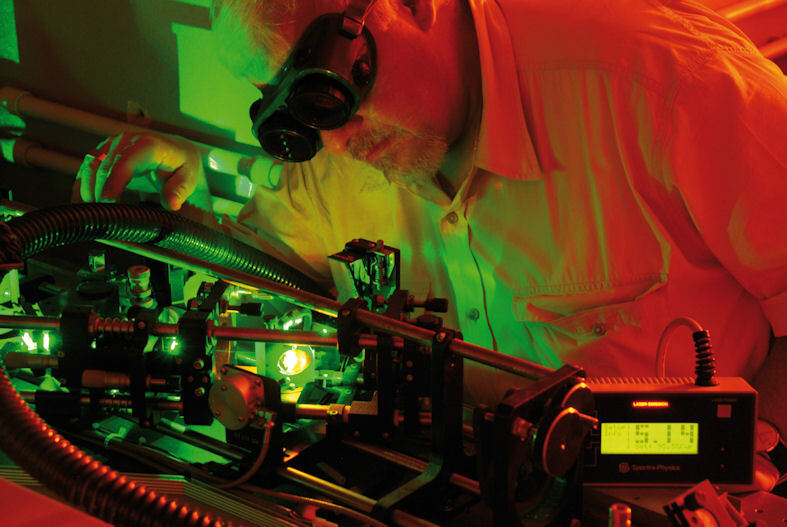 The results of this research can find applications in several fields: laser sources for biomedical applications, devices for environmental monitoring, industrial processes and diagnostics, security, devices for aerospace applications in projects by ASI and ESA.